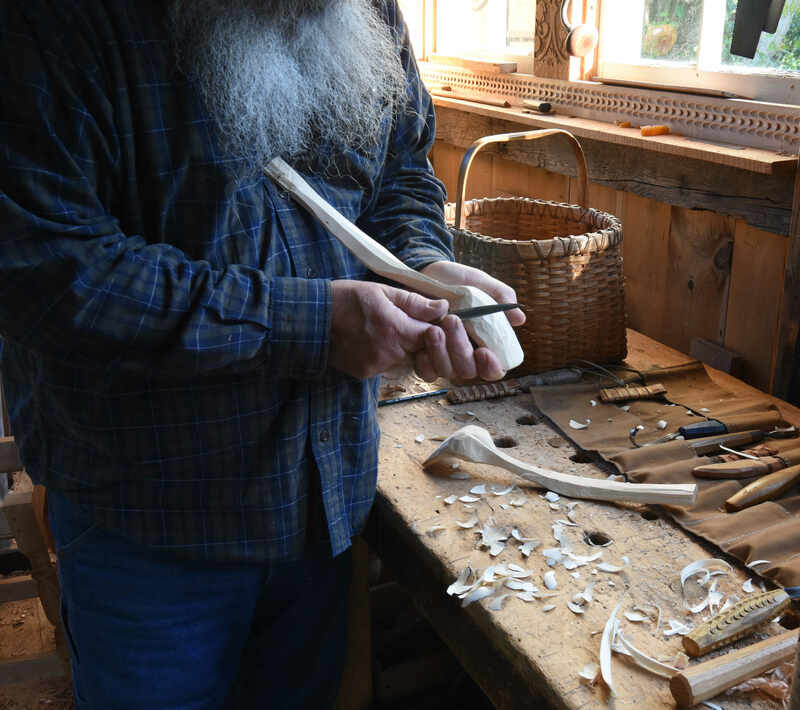 My favorite spoons to carve are those from limbs/trunks/branches that have a sweep, or curve or “crook” in them. 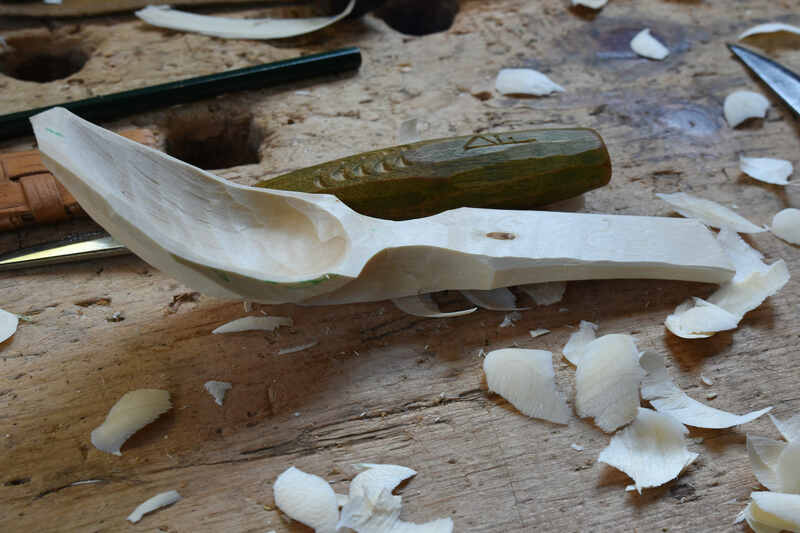 It makes splitting the blank more difficult, but makes carving the spoon easier and more interesting than straight-grained stock. To me, anyway. 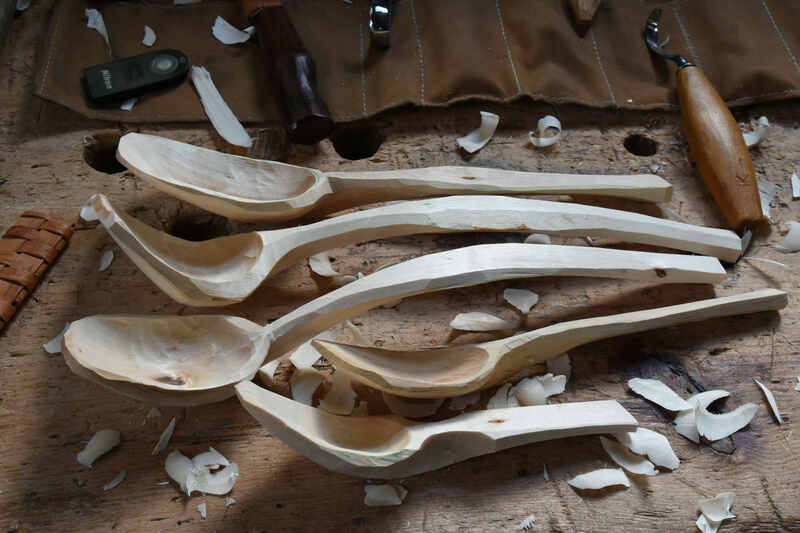 I should be doing a zillion other things right about now, but I had to make the spoons that were in this yellow birch (Betula alleghaniensis). It took a bit of wrangling to get it to split. Some froe work, some hatchet work. Got the three blanks I expected. 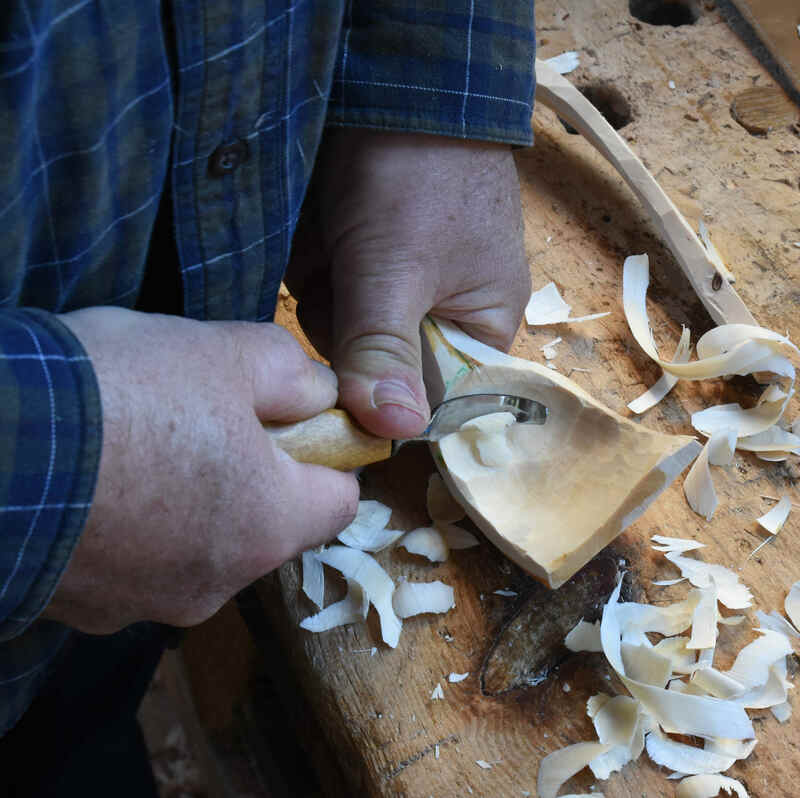 I often use a leftie hook (a Hans Karlsson one in this case) to scoop out the rear section of the bowl. 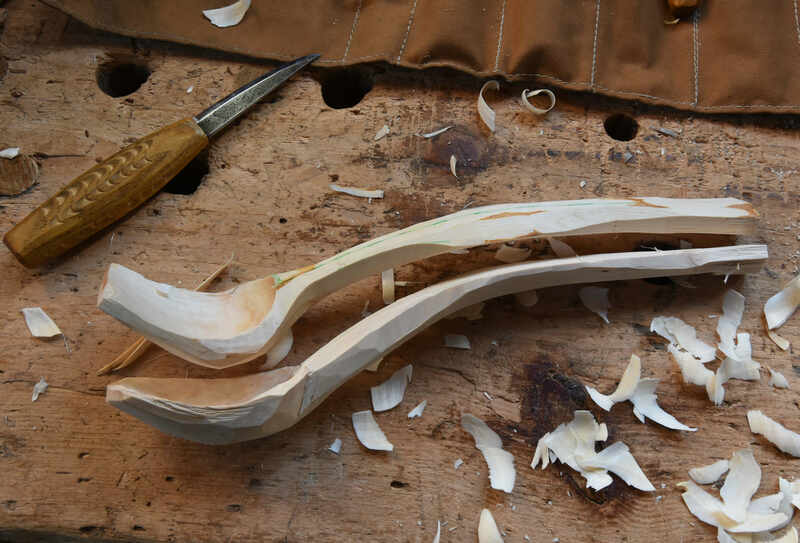 I want to get this steep & deep..
Here’s the 2 main spoons from that crook, as they were in the stick. 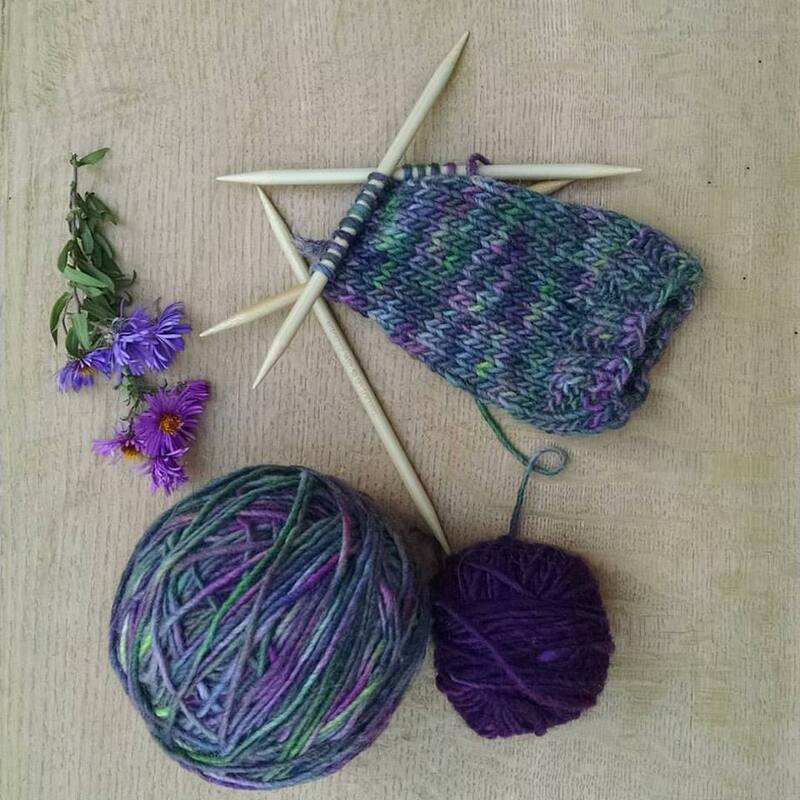 This little one was from the single crook after the wild bend. 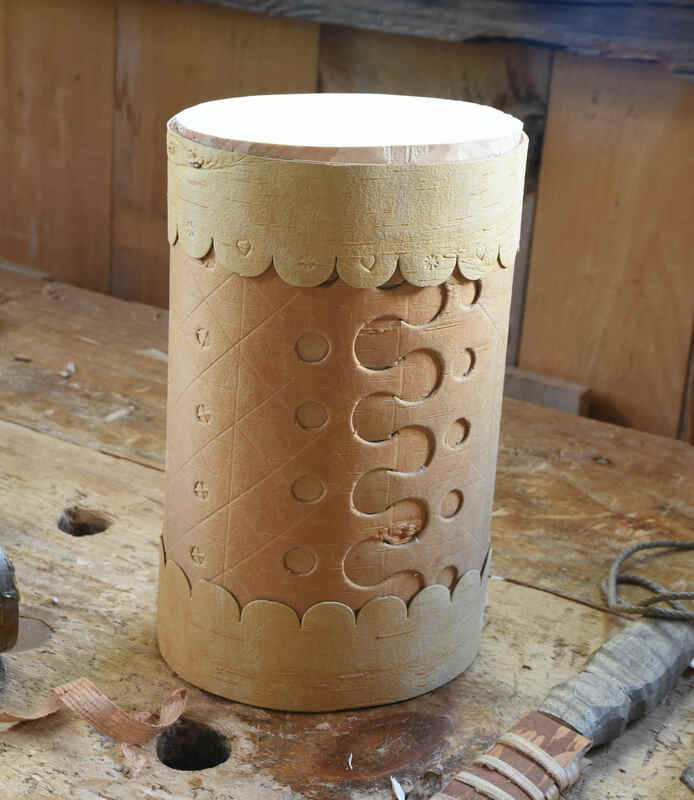 The other procrastination crafty bit I did this week was wrapping the bands around the top and bottom of this canister I started in Jarrod Dahl’s Plymouth CRAFT class a while back. I had two bands to work with, and botched them. Jarrod & Jazmin were kind enough to send me some bark to finish it off. Just needs a handle now. 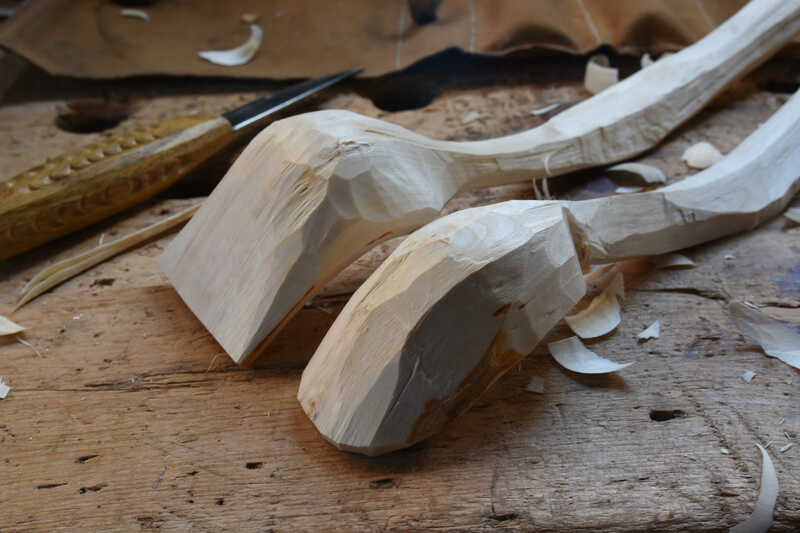 I always love these posts showing the branch and the where the spoon came from. There is a certain beauty to it that I cannot yet place into words.